Rafiki's Planet Watch is the section of the park that really drives home a conservation message. It isn't a large area, and you may not spend much time there but it is worth a visit for more than just the train ride necessary to get there. There you can learn about what goes into caring for the animals at Animal Kingdom and also what is necessary to make sure that they don't go extinct in the wild. Location: Far back of the park, can only be reached by train. Affection Section A petting zoo. Conservation Station Learn how the animals are taken care of. Habitat Habit! Learn about ecosystems and how we can help maintain animal populations. 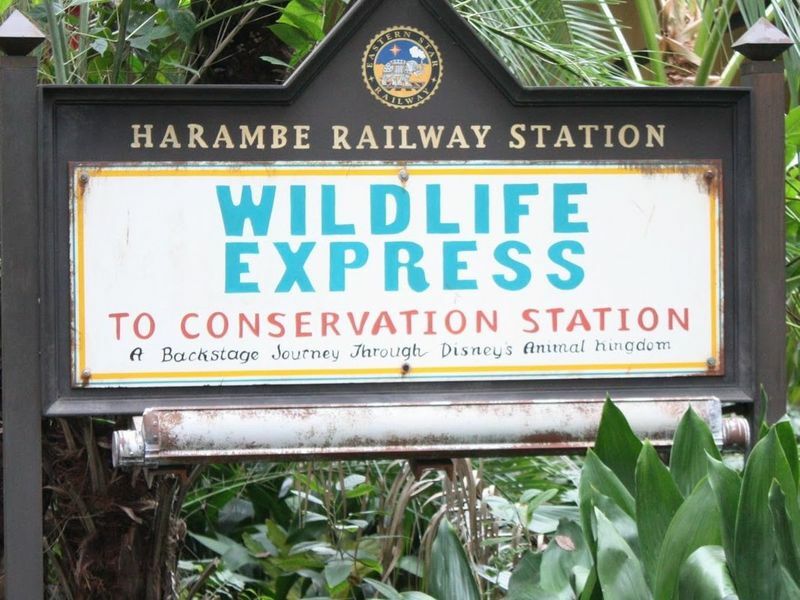 Wildlife Express Train A train that connects Asia to Rafiki's Planet Watch.